05 Feb 19, Patna – Lifesaver Air Ambulance feels its pleasure to announce Air Ambulance in Patna with coronary care unit (CCU). Most of the patient transfer call we get from the city need the cardiac patient to be transferred. There is very few Air Ambulance operator to possess a customized ICU setup for Cardiac patient. Normally Air Ambulance Service provider install cardiac monitor, ventilator, defibrillator, oxygen cylinder, suction pump, infusion pump, and portable power supply on their Air Ambulances and they do not care to install customized life support for patients. 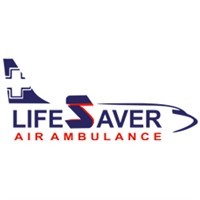 We at lifesaver Air Ambulance believes in rendering patient transfer service that is more customized and precise, designed to serve the better need of the patient and furthermore comprehensive as well. As per a rough estimation, cardiac-related issues are the reason for every 5th death occurring worldwide. All these factors compelled us to upgrade our Air Ambulance with a dedicated Cardiac Care Unit. In the same process, we have brought an integrated CCU which is rolled out in our Air Ambulance in Patna for the first time. In a later phase, we shall provide a CCU enabled Air Ambulance from other locations too. Air Ambulance Service is better chosen to provide the fastest delivery of the patient from one location to another. The CCU unit is comprised of a modern LTV 1200 ventilator which is BiPAP capable and can provide ventilation for a longer duration. Now patient suffering from different types of cardiac problems can be better treated on our Air Ambulance in Patna. We have a specialist Doctor to take care of the patient while being evacuated. These people have vast experience of operating a BiPAP ventilator and managing a CCU. Lifesaver Air Ambulance also provides services in Delhi and if you want to avail a fully equipped Air Ambulance in Delhi then call us now. In few hours an Air Ambulance equipped with a BiPAP ventilator or LTV series shall be made available to you.